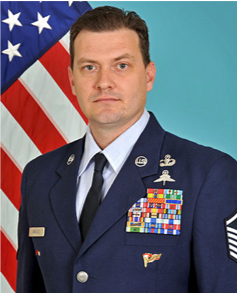 Air Force Master Sergeant Joshua M. Gavulic of Oklahoma City, Oklahoma was a Tactical Air Control Party (TACP) member assigned to the 17th Special Tactics Squadron at Fort Benning, Georgia. With more than 16 years of service, MSgt Gavulic was an airman, a TACP, a Special Tactics Operator, a highly trained Jump Master and a Ranger. Air Force Special Operations Command TACP’s with the 17th STS conduct joint special operations and are trained in multiple types of infiltration techniques, including parachute operations. TACP’s can be attached to Navy SEALs, Army Special Forces and Ranger units. On February 21, 2014 MSgt Gavulic was killed in a parachute accident at a drop zone in Eloy, Arizona. He was 34 years old. Joining the Air Force in June of 1998, MSgt Gavulic was a Freefall HALO Jumpmaster. During the War on Terrorism, he deployed to Afghanistan and Iraq a total of 10 times between 2001 and 2014. He completed Army Airborne School, Army Military Freefall School, Army Static Line Jumpmaster Course, Army Military Freefall Jumpmaster Course, Army Pathfinder School and Army Ranger School. He earned three Bronze Stars, two Joint Service Commendation Medals with Valor, two Air Force Commendation Medals and an Army Commendation Medal. He is survived by his wife and six children; three daughters and three sons. One of MSgt Gavulic’s sons was the recipient of the Folds of Honor Children’s Fund scholarship.